DeWalt Safety Glasses Gable Silver Mirror Lens DPG98-6. 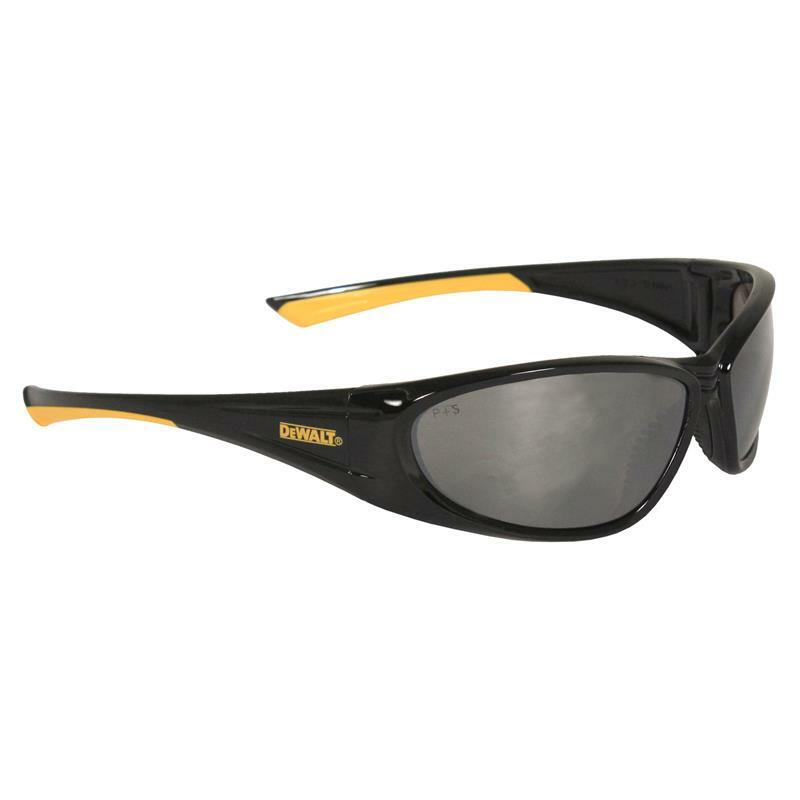 Lightweight, comfortable fit with a wraparound frame to protect against debris. Dual Mold Rubber tipped temples keeps glass securely in place. Soft, rubber non-slip nosepiece provides maximum all day comfort. Meets or exceeds ANSI Z87.1 Standards. 99.9% UV Protection, Hard Coated Lenses.